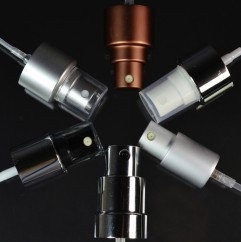 Sprayers may be offered with a Shiny Silver, Shiny Gold, or Matte Silver collar. 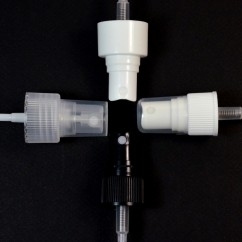 Sprayers can be produced in Black, White and Natural in Ribbed or Smooth finishes. Fine Mist Sprayer pumps are available with threaded and crimp finish. 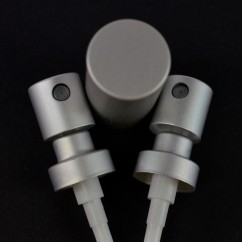 Options include custom colors and different output patterns and dosages. Compatibility testing is recommended.